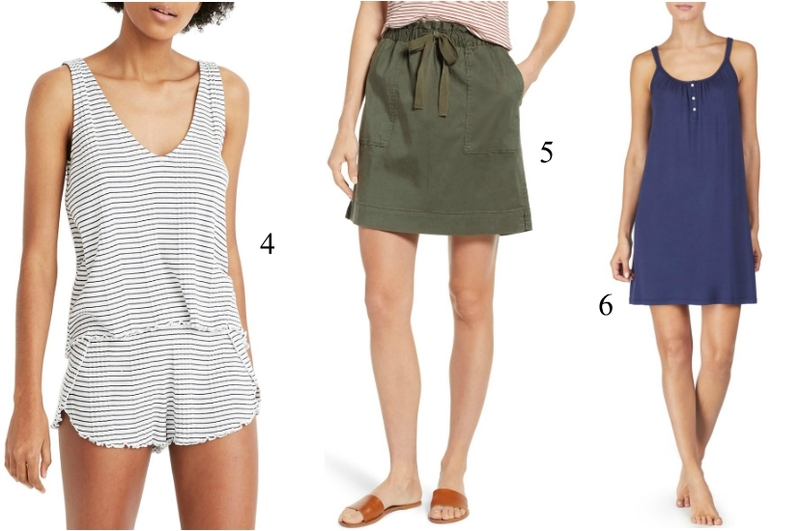 Not Sponsored: In preparation for Spring & Summer, I did some online shopping. I have a lot of pants in my closet (jeans, trousers, shorts etc.) My wardrobe needs dresses. I love the ease of slipping on a dress. With a dress you can look dressed up without looking dressed up. I needed daytime casual dresses, so I picked up these two from Garnet Hill. One is by Eileen Fisher (organic cotton). The other is a black/flax linen dress. As you can see, I love black even for Spring & Summer. I love simplicity. I like to keeping things to a minimum. Earlier this year, I purchased a pair of blush & black ballet flats by Vionic (here, here, here, here). 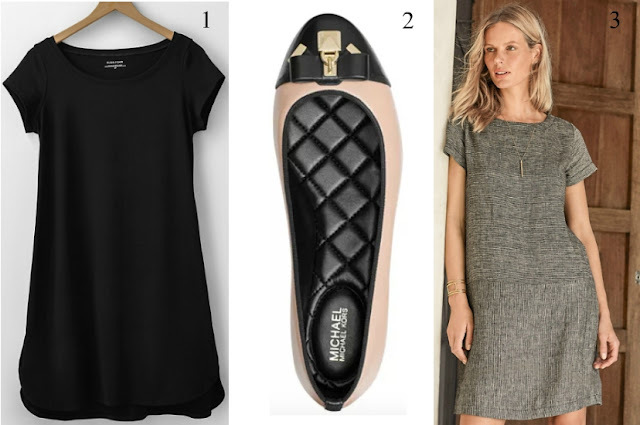 The ones below are by Michael Kors. They have the same color scheme as the Vionic pair. Plus, they were on sale! A nice win for me. They'll go nicely with some other outfits I have in my closet. I've been wanting a casual olive green skirt. I love paper bag style shorts, pants & skirts. I have some sandals that will pair nicely with this skirt. Lightweight nightwear is a must in New Orleans. I picked up a pj set by Madewell and a chemise by Lauren Ralph Lauren. I'm back with REN Skincare you guys! Last year, I tried a multitude of brands. 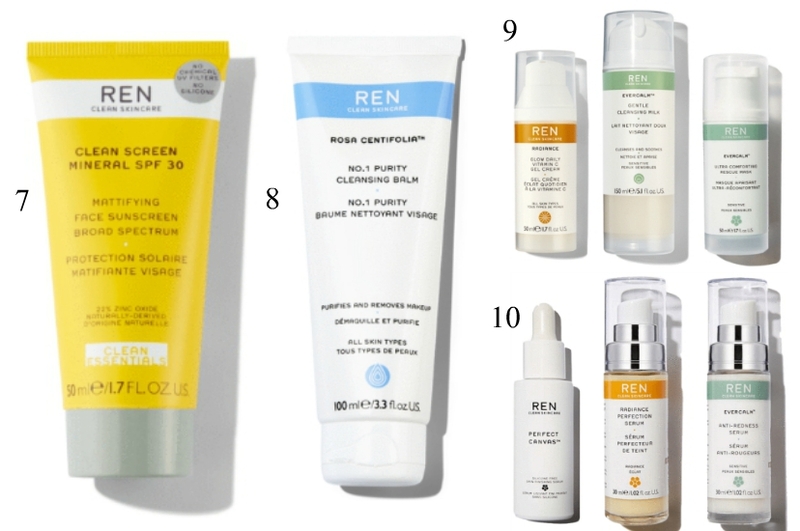 Several brands were really good and came VERY close, but I truly see a difference in my skin when I use REN. Its what works for me. 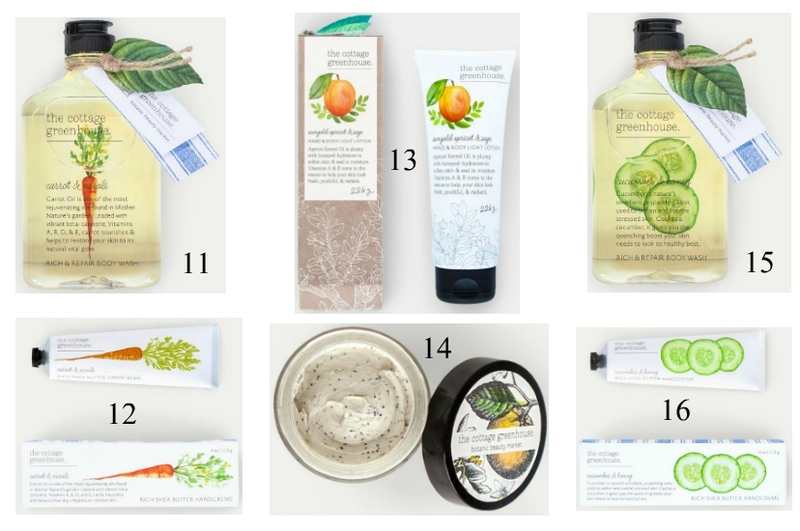 So during my absence of using their products last year, they came out with a multitude of products. I placed a huge order and as I use them, I'll let you know my thoughts. I've used up the last of my body wash & body lotion! So it was time to order & try something NEW!!! The Cottage Greenhouse has been on my list to try. Their packaging is so delightful to the eyes. I'll begin testing their products this week and do some blog reviews for you. I use to only decorate the inside of my home for Thanksgiving and Christmas. I've now decided to decorate for Easter and Halloween as well. I love Department 56. They make the cutest and most whimsical houses. I have several of their Christmas themed houses. Several years ago, they started coming out with Easter and Halloween houses. I purchased one of their Easter houses. The one below is called their Easter Sweets House. I can't wait to display it next year.